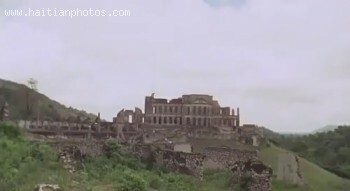 Sans-Souci palace is located in the city of Milot near Cap-Haitian. It is located at the bottom of the mountain where the mountain top fortress Citadelle Laferriere dominate the Bay of Cap-Haitian. Sans-Souci Palace was the residence of King Henri Christophe and his family. It took three years to build the Palace which started in 1810 and completed by 1813.